Found on three consecutive nights (photographed underbelly 9/16/2018 and back 9/18/2018). Will upload all four photos. Body diameter approximately 6 to 8 mm, not including legs. Both nights, web was constructed in corner of a chain link fence (and web was observed in daylight at that location on 9/17/2018). Biologist friends have suggested either furrow orb weaver (Larinioides cornutus) or barn orb weaver. Hi. Certainly an orb weaver in he Araneidae family, all are very harmless. They are probably Hentz orbweavers from your description and your location. 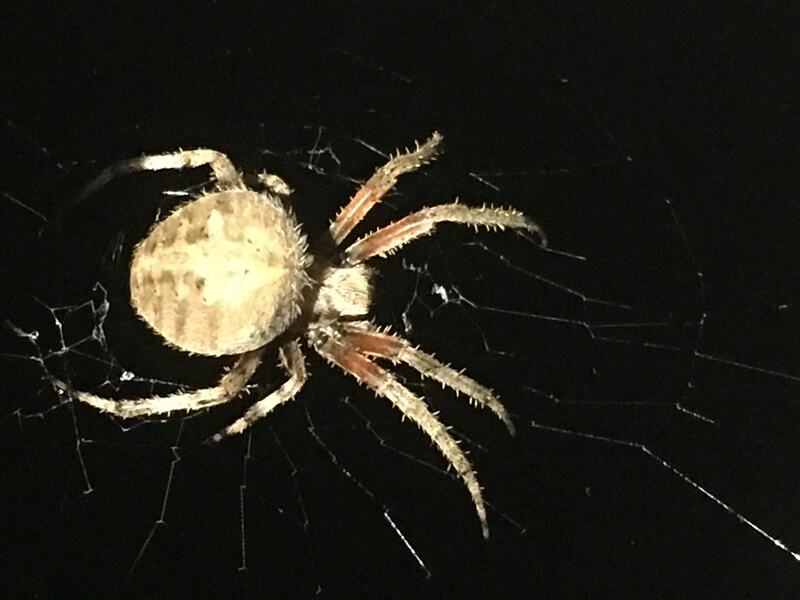 There are many more photos of them submitted to us from Ohio than spotted orbweavers.